Mike: We've been in Huancayo a few days now an are really enjoying it. It's much quieter than Lima (but that's not to say its not busy). There has been a lot going on and it's all going in a blur (despite the altitude sickness). We arrived on Sunday and was met by Juliana who runs the volunteer programme single handedly, her English is good which is useful as not many people in Huancayo speak English. We get a taxi over to our flat which is near the centre and all our volunteer projects, but is quite enough not to be bothered by the traffic. We arrive at our apartment which is above a dentist. We share the apartment with a doctor called "Sandra" she is German and has been here a while, she is nice and is very handy to have around as apart from german, she is fluent in English, Spanish and she is pretty good at Italian it turns out as well. 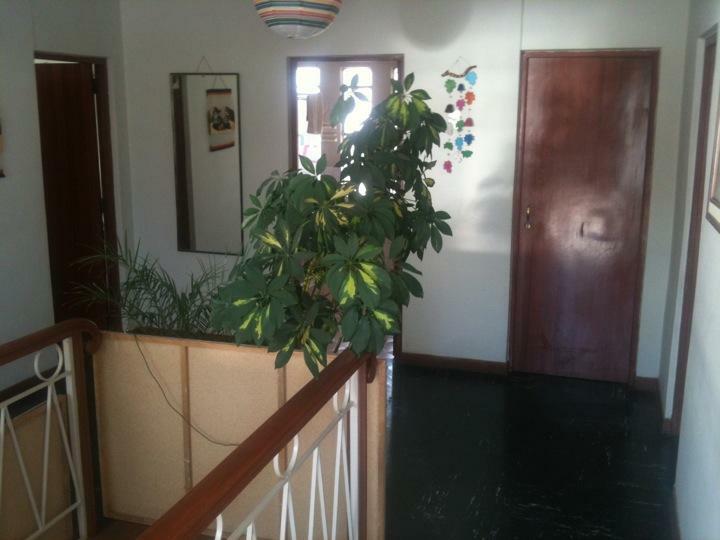 The flat is a good size and clean, we have a bathroom, Juliana's office, a study room and a living room. The kitchen is in an out house in the court yard. On the first day Juliana walks us round the centre, gives us advice on where is good to eat and were's best to avoid, see seems to know a lot of people and manages to arrange sim cards and trips for us (if we wish to take them). She points out a restaurant that does a 3 course meal for 5 soles - around £1.50. This is more like it in terms of price! Lima was very expensive. We'll definitely be going back there, despite it being a veggie only restaurant. In the afternoon we head over to Makikita, the after school club we'll be helping at for the next 6 weeks. The kids are very affectionate, the run up and want to be picked up and kissed. It takes me by surprise, but is nice to have such a warm welcome. I am immediately labeled as "gringo" which is amusing. The fact Alicia is my girlfriend causes a stir and the child run off to spread the news. Juliana later explains I'm a bit of a novelty as they don't get men volunteering very often and they rarely see anyone so tall. My Spanish is noticeable inadequate, especially when it comes to trying to explain the rules of chess to 9 year olds with no english and no clue how to play it. In the evening Sandra cooks an awesome all veggie Lasagne, another volunteer ("Orit" from the US - she lives in a home stay close by) joins us along with a local Huancayain doctor "jimmy". He was trying to practice his english and we were trying to practice our Spanish, the pained look on Sandra's face suggested neither of us are doing very well, but it was a good and useful evening. Both me and Alicia have headaches so we head off to bed early, like 10 o clock(! ), mental.